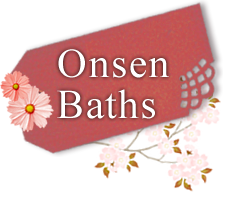 Onsen Baths, Cuisine, Guest Rooms, Facilities | Nishi-no-Miyabi Tokiwa, a ryokan in Yuda Onsen, Yamaguchi Prefecture, Japan. 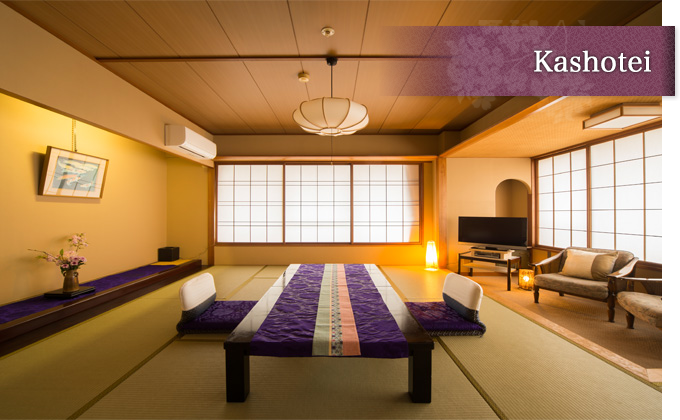 Nishi-no-Miyabi Tokiwa, a ryokan in Yuda Onsen, Yamaguchi Prefecture. 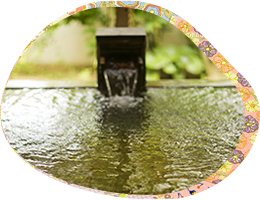 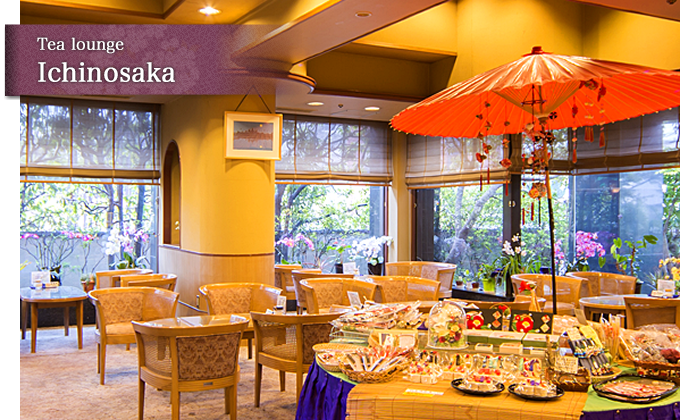 The ryokan has no less than 6 different baths, and offers great access to sightseeing areas. 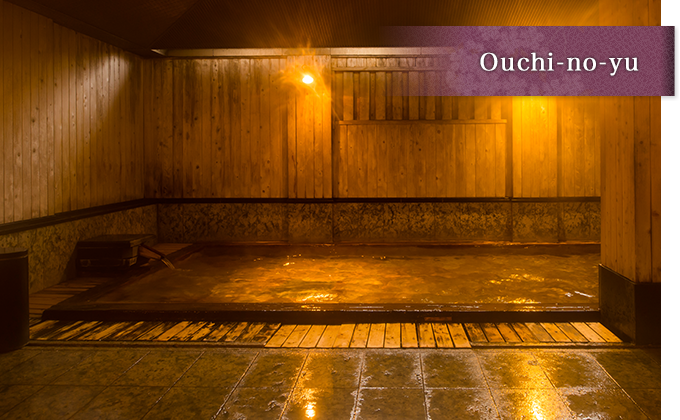 Yuda Onsen is said to be the best hot spring on the Sanyodo. 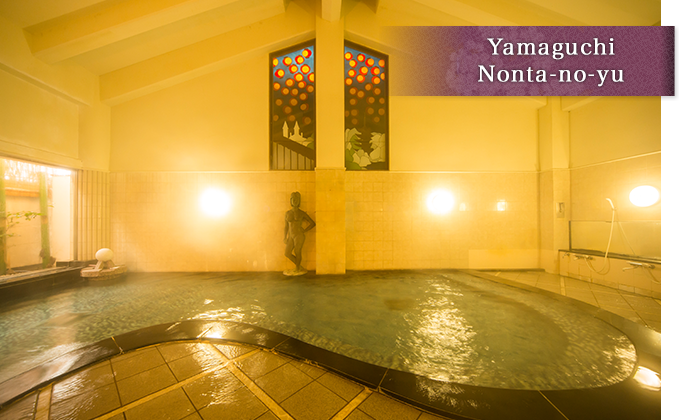 Please relax in the 6 baths that are the pride of our ryokan. 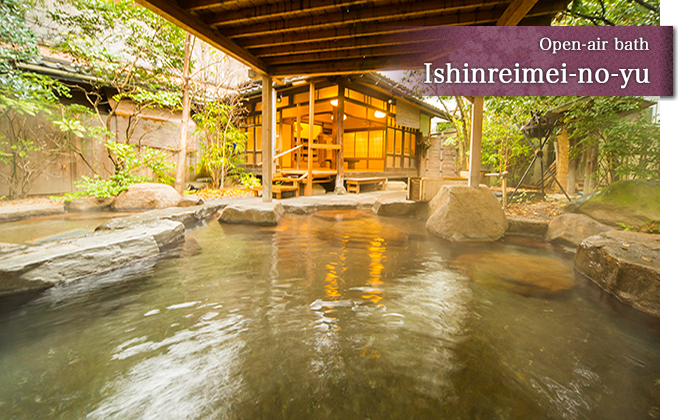 Ishinreimei-no-yu is open-air baths offering a feeling of total release. 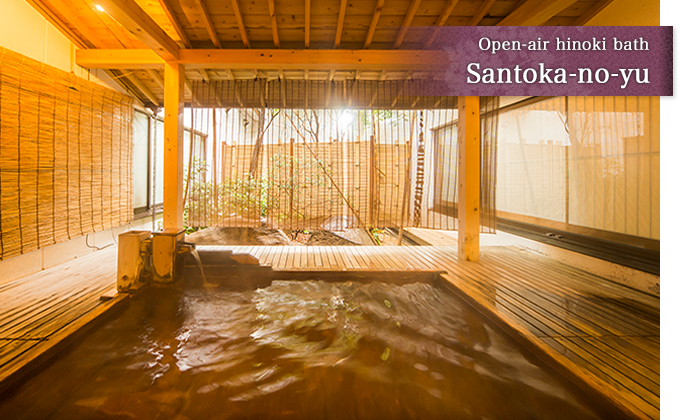 Santoka-no-yu soothes with a relaxing fragrance of hinoki (Japanese cypress). 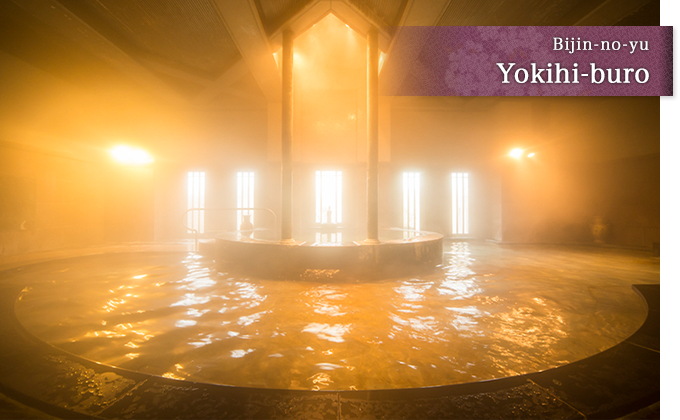 Yokihi-buro was created using stones imported from China. 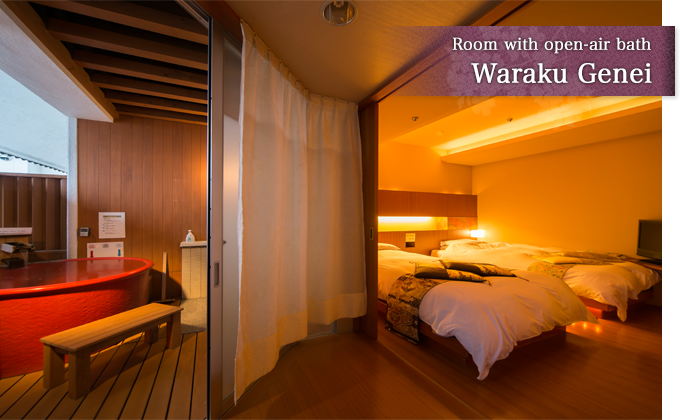 And let's not forget Wakatake, an open-air bath of rustic beauty surrounded by a bamboo grove. 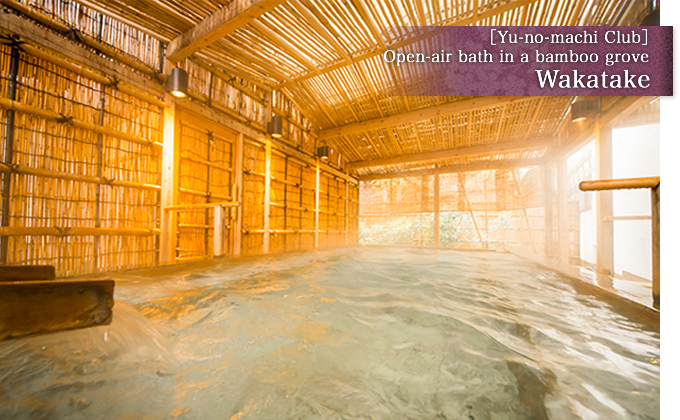 Find your favorite out of the six baths, each with a different concept. 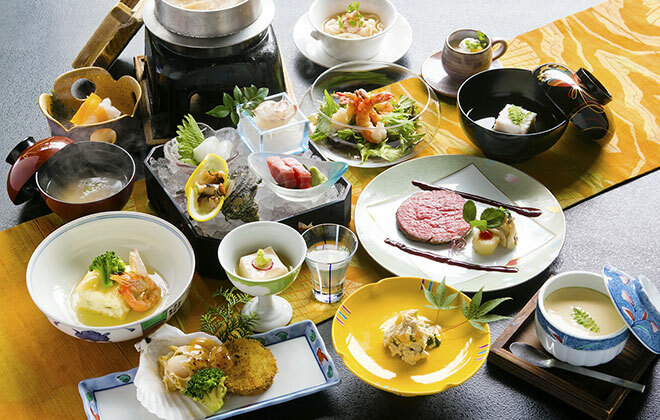 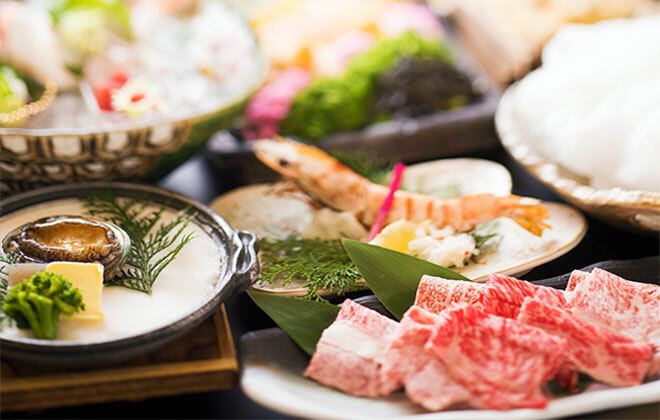 Enjoy the seasonal flavors of Yamaguchi at Tokiwa. 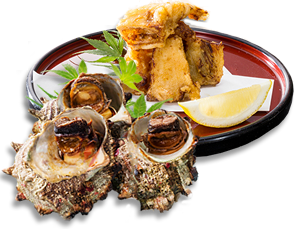 Tokiwa's renowned fugu cuisine! 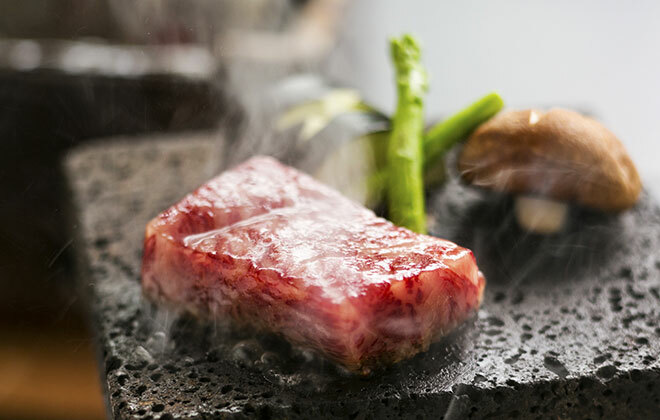 We also serve A5 grade premium Japanese beef in a luxurious kaiseki course meal. 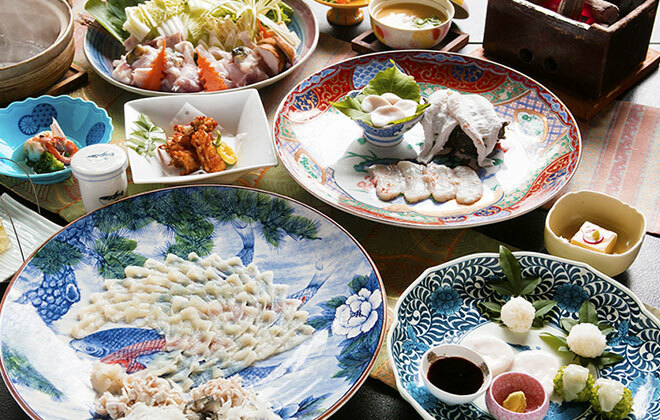 Savor Tokiwa's dishes to your heart's content. 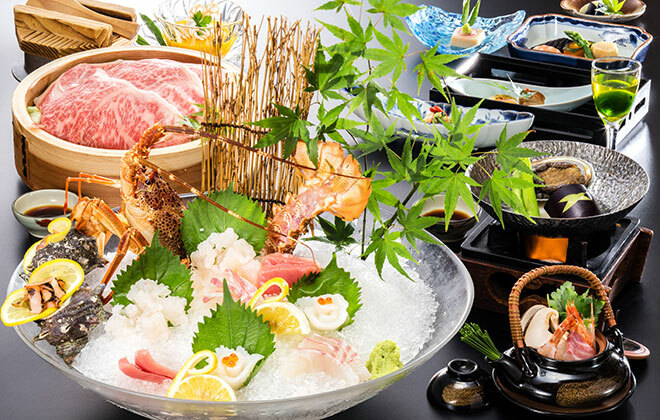 All menu items are prepared with fresh ingredients produced by Ota Tadamichi, a master of Japanese cuisine. 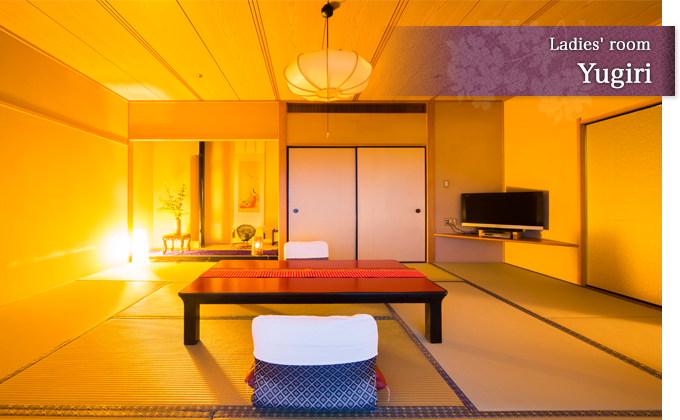 in one of our Japanese-modern rooms. 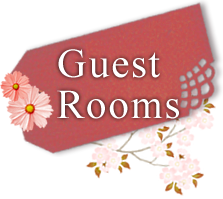 There are eight types of room. 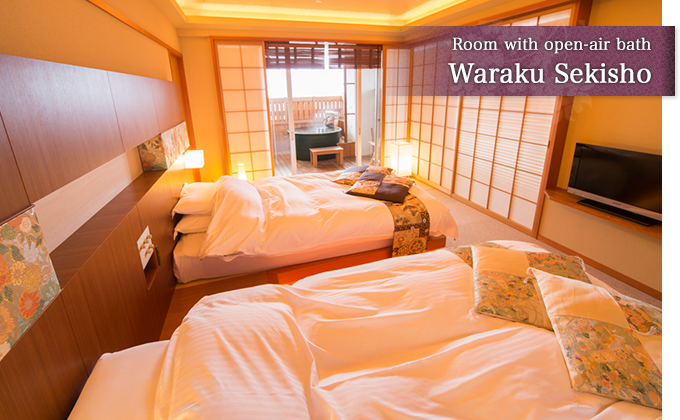 Waraku, a floor of modern rooms with authentic open-air baths. 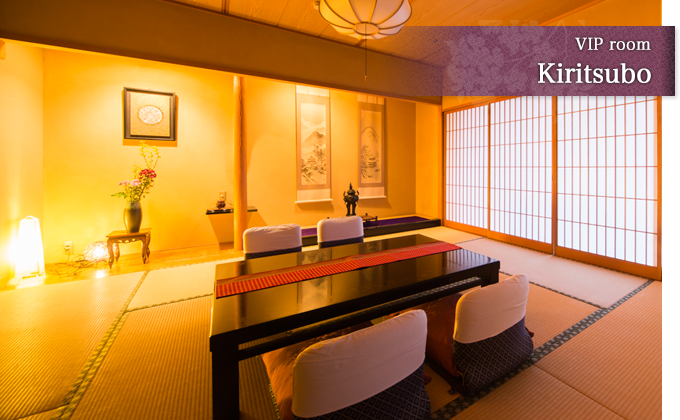 Kiritsubo, a VIP room with extravagance in every detail. 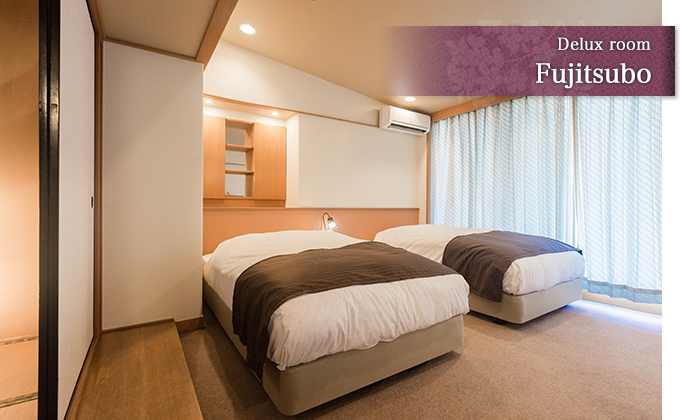 Fujitsubo, with spacious connected rooms. 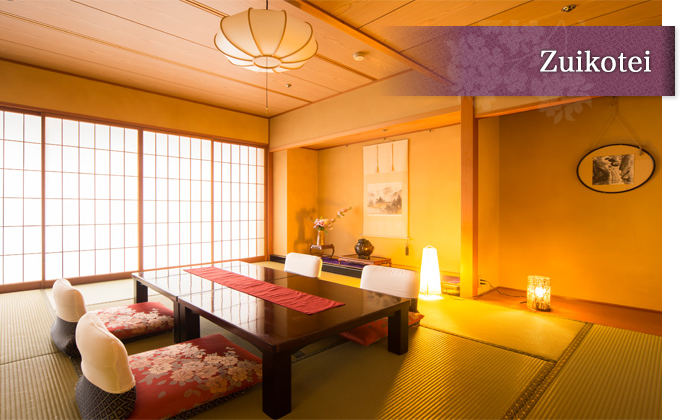 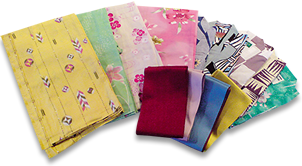 Yugiri, a room created with special consideration given to ladies. 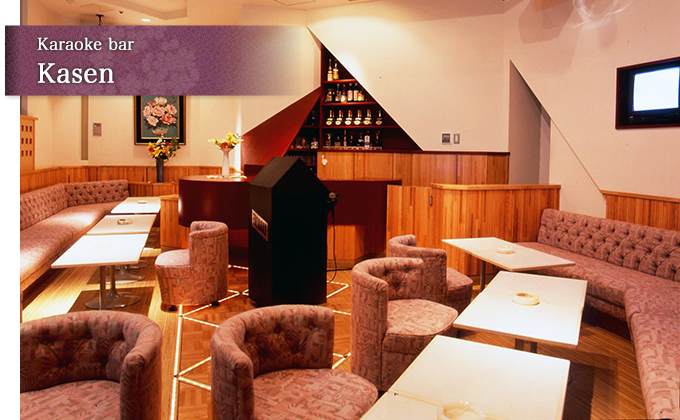 We have ample facilities to meet your various needs. 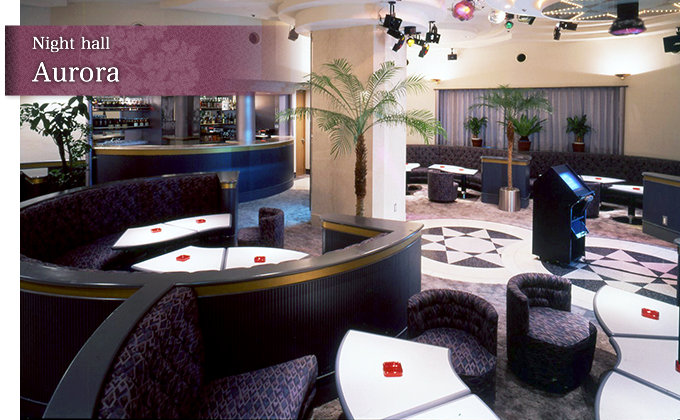 Loosen up in your own style in the tea lounge, night hall, or karaoke bar. 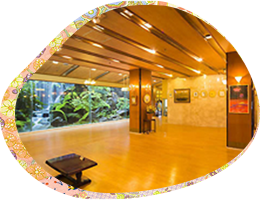 Wi-Fi is available in the lobby. 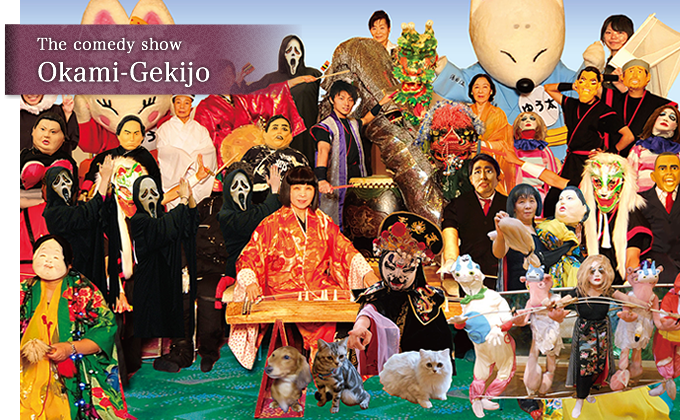 This hotel is famous for "Okami Gekijo", or the comedy show by the landlady of the hotel. 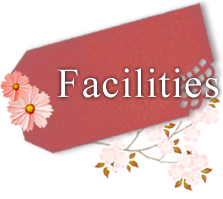 We also have a beauty salon and other relaxation facilities. 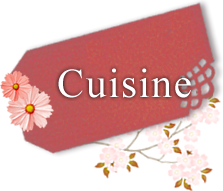 Copyright © N-TOKIWA. 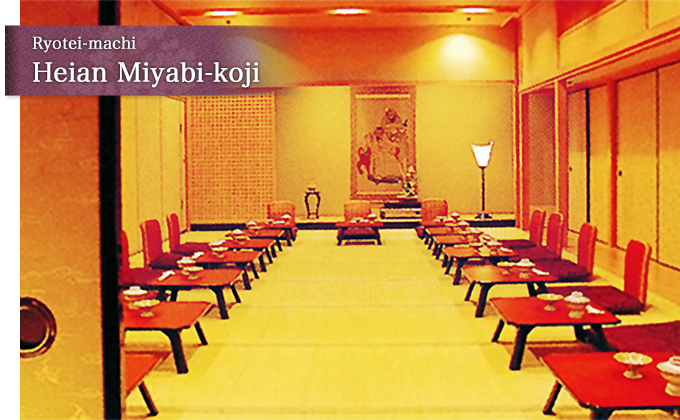 All Rright Reserved.